A new heavy yielding mid season variety from Europe which we introduced to selected customers only last season. Initial reports are already very encouraging and we feel this variety deserves general release. Rednose forms a good upright bush which does well on most soils and the yield has been very good. 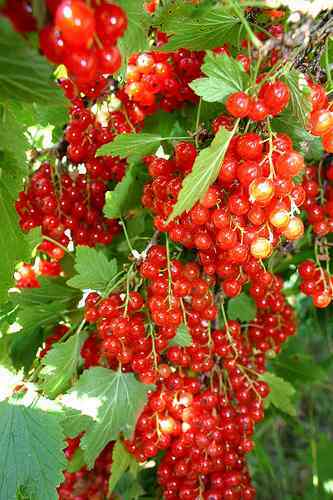 The well filled strings of very evenly sized berries are easy to pick and the flavour is very sweet. Recommended.